Every hunter knows finding a good Speck call is like being asked to go find that ever elusive pair of waders that never leak! The Sure-Shot SpeckleBelly Goose Call puts a stop to all that nonsense. We learned a few things designing the World Champion Yentzen duck call, and one of those was to never compromise. 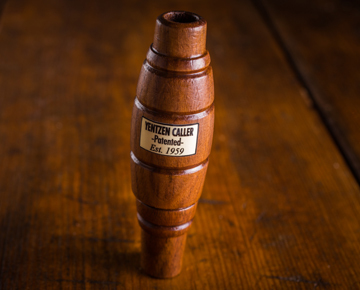 Duplicate the laughing, crackling sounds of the Speckle Belly Goose with this call. Designed in a our composite body to give long hunting life. Affordable enough for a beginner or another "go to" call for the seasoned waterfowler that won't break the bank!